Sorry, this coffee is currently unavailable. 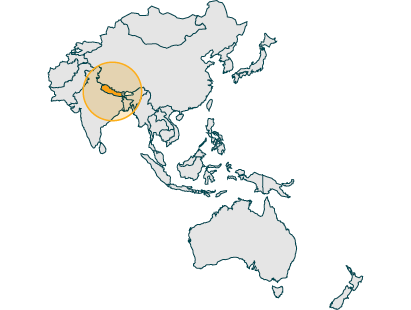 The plantation is situated 100km from Mount Everest, in the foothills of the Ganesh mountain chain. This is the most northerly grown commercial crop in the world. The estate is small, only producing 12,000 kilos making it rare and highly sought after. This coffee is like no other, with notes of orange and biscuit and a pleasant aroma of tea and peanut butter. It has a medium acidity, so over all it is a light, smooth coffee, perfect for those who don’t like anything too heavy. Where does our Coffee Grow? Our premium beans are grown 100km away from Earth’s highest mountain, the famous Mount Everest. The Plantec coffee estate is the first & only coffee plantation in the vast Himalayan belt, which is why these beans are so exclusive. ‘This makes us the only producer and exporter of superior quality Himalayan snow water washed shade grown/organic/sundried green beans from the Himalayas’, according to Plantec. Not only does they produce high quality beans, they also do a great deal for the environment. This includes contributing to reforestation, soil conservation, and wildlife conservation. Beans are grown here organically at an altitude of 2200 – 2400 feet above sea level. 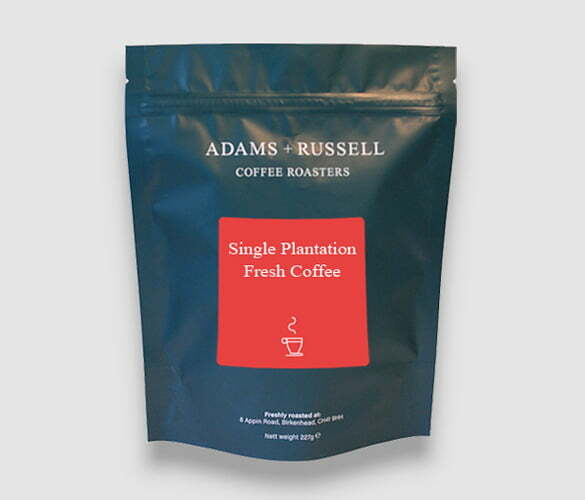 These beans are medium roasted in small batches and are always available fresh from Adams and Russell. Medium roasts are a medium brown colour and are nicely balanced in flavour, aroma, and acidity. During this process the beans can reach temperatures between 210°C and 220°C, which gives this rich, bold delicious flavour. Medium roasts have milder levels of acidity than lighter does, but it is usually still a prominent characteristic. They are also known for being highly aromatic when grounded and having a high level of body. Coffee is roasted as either light, medium, medium-dark or dark. We roast our beans ourselves to ensure the best quality and maximum freshness for our customers. These Nepal Mount Everest beans are medium. Medium is a little richer and heavier than light, however there is a big misconception between light and dark. The biggest misconception of dark roast coffee is that it contains less or more caffeine than light. Some think more because it is darker in colour and tastes stronger, so it must have a stronger caffeine content. Some think less because it loses caffeine content in the roasting process. It is in fact all down to how you measure your coffee. This is because during the process the bean loses its mass, as it loses roughly 90% of its water content. So, this means that if you measure by scoop, light roasted beans will have more caffeine as they are more dense. Nicely roasted coffee with a good balance of flavours, my best coffee buy this year will order another kilo.